AN email from the council offices earlier this week carried the disappointing news that the mayor had cancelled this month's workshop, due to have been held tomorrow (Thursday) night. Instead, he will host a social function for new and old councillors at the time originally scheduled for the workshop. A function to farewell retiring councillors and welcome their replacements is good idea, but it could and should have been held at a time that did not require the cancellation of the monthly workshop. Ratepayers should not be expected to pay for the mayor's party either. The monthly workshop provides an opportunity for community members to speak to assembled councillors in an informal setting and for councillors themselves to discuss a wide range of topics in a non-adversarial format. This week's workshop - the first since the election - would have been the perfect opportunity to introduce new councillors to the inner workings of the council. My own introduction two years ago came in the form of a refusal to provide me with the minutes of previous closed council meetings until I agreed to a confidentiality agreement. I politely declined. Two years on, documents have been withheld from the three new councillors until the formalities of the certificate of election and declaration of office have been observed. In contrast, the new Lord Mayor is already representing the Hobart City Council at formal events (see the daily Civic column in the Mercury) and Launceston aldermen have been sworn in and issued their robes of office (yes, robes!). At tomorrow's workshop - now cancelled - new councillors could have been briefed on the council's meeting procedure and introduced to council policies. It would also have been a good opportunity to take the new councillors through this year's budget and operational plan. A briefing on Willow Court would also have been beneficial. The next workshop will be held in the council social rooms at 6.30pm on December 1. Come along. MAYORAL and deputy mayoral candidates made their comments in the second half of Saturday's forum at the New Norfolk District Football Clubrooms. Moderator Frank Pearce conducted a draw to determine the speaking order. Candidates for the position of deputy mayor were heard first, starting at 4pm. Judy Bromfield, of New Norfolk, said he had proven her ability as a councillor and had achieved much behind the scenes as being a councillor involved more than one council meeting a month. Cr Bromfield said she had runs on the board and spoke of achievements including establishing the Derwent Valley Autumn Festival with former mayor Nick Cracknell; negotiating funding for the Maydena Streetscape; rebuilding the Black Jetty at New Norfolk; negotiating the construction of the Millbrook Rise boat ramp; and instigating public question time and public budget submissions at the Derwent Valley Council. Addressing the question put to other candidates earlier in the day, Cr Bromfield said she was a former member of the Liberal Party. Barry Lathey, of New Norfolk, said he had never been so frustrated by a single issue as he had been by Willow Court. He had conducted many tours of the site in the last year and would like to see a start made on the redevelopment. 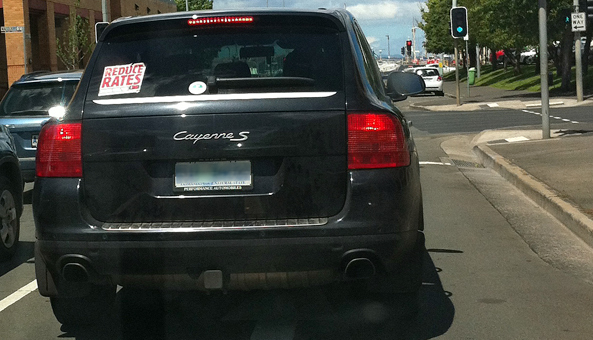 He believed one of the top priorities was improving the power supply. A site caretaker was also needed. Cr Lathey said amalgamation had been mentioned and it was an issue that was of concern to him when he recalled the manner in which the State Government had taken the responsibility for water and sewerage away from councils, removing 50% of council revenue. Cr Lathey said he had attended the monthly meetings of the Child and Family Centre and he was looking forward to seeing the centre built on Ellis Dean Reserve. He described himself as being on a mission to have a public toilet installed near the Millbrook Rise boat ramp. Wayne Shoobridge, of New Norfolk, said he had spent 18 months on the Derwent Valley Council in 2001-02 and he had managed multi-million dollar businesses but was now semi-retired. He saw a need to get things done for the future and a priority in this regard was enticing new businesses to the municipality. Mr Shoobridge spoke about the important role of the deputy mayor as a support and back-up to the mayor. If elected, he said he would be there to back-up the mayor whenever required. Just after 4.30pm it was the turn of the mayoral candidates. The luck of the draw went to the incumbent. Martyn Evans, of Magra, said he had probably jumped in too early when he first contested the mayoral position two years ago, describing himself as too young and green at the time. It had been a steep learning curve but he had enjoyed the challenge. His priorities were education, health and Willow Court. The mayoral role was about being a leader, but even the best leader needed a strong team. Cr Evans spoke of his previous leadership roles as sports captain, coach and mentor. 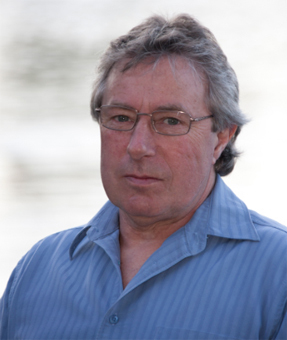 Tony Nicholson, of Lachlan, said the mayor's position was one of leadership of the community. In his previous years in local government he had much experience in leadership roles. He said the mayor was the spokesman for the community and must link the community and bring it together. Having had two years away from the council, Mr Nicholson said he had had time to reassess things. He regarded transparency as a vital part of a free and open society. 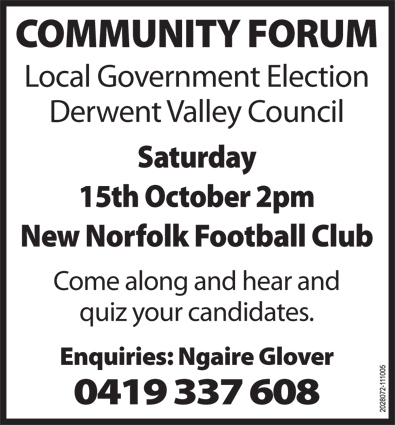 ABOUT 30 people attended yesterday's "Meet the Candidates" forum at the New Norfolk District Football Clubrooms. Organiser Ngaire Glover introduced former Glenorchy City Council general manager Frank Pearce as the moderator and thanked Elaine Dwyer and Jacky Whitehead for providing afternoon tea. Mr Pearce kept the proceedings running smoothly throughout the afternoon. A draw was conducted to determine the order in which the candidates would speak. Each candidate was given five minutes to state their case, followed by five minutes for questions. Dane Cowley, of New Norfolk, was the first speaker. He said it was his desire to contribute and make a difference in the community. 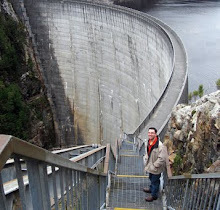 He attended New Norfolk Primary School, New Norfolk High School and Guilford Young College prior to completing a bachelor of computing at the University of Tasmania. 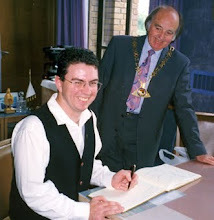 He has had a long association with the Salvation Army and the Derwent Valley Youth Future Action Team (D'FAT). He welcomed the council's involvement in the development of the former business enterprise centre as an education park. He saw this as a positive activity he would like to be involved in as a councillor. He was particularly concerned about the state of local roads and would like to be involved in improving council communications. 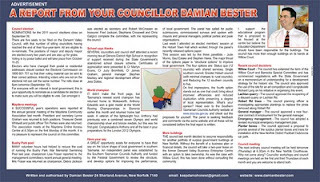 He welcomed the recent introduction of a council newsletter and said the council website must be kept up-to-date. In response to questions, Mr Cowley said improving council communications would be his top priority; he did not have a position on council amalgamations; he had never been a member of a political party; as a father of two he supported the Child and Family Centre to be built on Ellis Dean Reserve; and he believed in the potential for tourism development at Willow Court. Phil Bingley, of New Norfolk, said he had lived in the town for 30 years and was passionate about New Norfolk and the Derwent Valley. 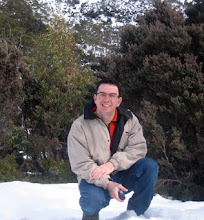 As an endorsed Tasmanian Greens candidate he wanted to bring Greens values to the council. He proposed a rates strategy to prevent the big increases some ratepayers had experienced this year; an economic development plan; and a financial management plan. His priority would be to adequately fund the core responsibility of maintaining council infrastructure such as roads and footpaths. He described the current state of Burnett St as a barometer showing how badly the council had lost its focus on the maintenance of essential infrastructure. In response to questions Mr Bingley said roads and basic infrastructure would be his top priority; he suggested planting poplars to screen the Gateway Estate; and he spoke of the need to bring in experts to deal with issues such as the state of our roads. Simon Rolfe, of New Norfolk, said he had lived in the Derwent Valley for 10 years. He believed the council must become more open and accountable. He saw a role for the council in pushing for the National Broadband Network being extended to New Norfolk earlier than was proposed as this would greatly improve educational opportunities for students in all parts of the municipality. He believed the council should be more involved in the training of apprentices and office trainees. Mr Rolfe said he was probably best known for his opposition to the location of the McDonald's Restaurant now being built in New Norfolk. He said he was not opposed to the development as a whole but believed far better locations had been available. 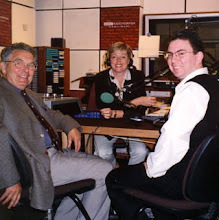 In response to questions he said he was frustrated by the lack of action on developing Willow Court; he thought the Gateway Estate developer should pay for tree-planting to screen the housing estate; he would like to see the council combine services with other councils; and he was not a member of a political party. Wayne Shoobridge, of New Norfolk, said he had lived in the municipality since 1997 and had spent about 18 months as a councillor in 2001-02 after being elected on a recount following the resignation of Cr Robbie Wall. He decried the council's lack of action and said Burnett St had been an eyesore for the last three to four years. He said there had been plans for the development of Willow Court on the table in 2002 and they were still there, waiting. Mr Shoobridge said it was time for some new blood on the council. At present it seemed there was much talking but not much action. He was concerned about the state of roads, footpaths and public toilets. He said it was an outrage that there were no police in New Norfolk overnight and if elected he would visit the police minister and commissioner on a weekly basis until a 24-hour police presence was achieved. In response to questions Mr Shoobridge said roads were his top priority; he was now semi-retired and able to dedicate more time to council business; he believed council amalgamations were a foregone conclusion but was not happy about it; he had not attended the Willow Court Working Party meetings for about three months due to illness, work commitments and the committee's lack of action and decision; he had previously been a member of the Liberal Party; and he hated closed council meetings. Martyn Evans, of Magra, said he had been a councillor for four years and mayor for two. He had stood for election four years ago at the suggestion of his friend Cr Scott Shaw. He said being a councillor was not as easy as it seemed. It was often a challenging environment, with council infrastructure being more than 60 years old in some places. Other projects, such as the reconstruction of Burnett St, had to be funded over several years. Cr Evans said he was working with the state and federal government to achieve a skills centre for the Derwent Valley. At present there were no post-Year 10 opportunities in the Derwent Valley, he said. He had spoken to the premier on Friday to confirm that x-ray facilities would be restored to the New Norfolk Hospital in January and this was the case. He congratulated the many voluntary groups working in our community and said we would be in a far worse situation without them. In response to questions, Cr Evans said he supported Option 4 of the current amalgamation proposals; he called on the public to report all instances of criminal activity to ensure police statistics were correct; he would like to see a community development officer and a tourism officer appointed by the council; education, health and infrastructure were his priorities; and he had never been a member of a political party. Chris Lester, of Magra, congratulated all candidates and introduced himself as a local resident who had returned to New Norfolk about 12 years ago. 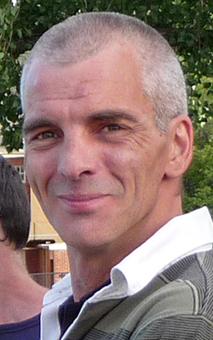 He works as manager of the Derwent Valley Sport and Recreation Centre, is involved in martial arts and teaches boxing. Mr Lester said he liked to encourage a positive way of looking at things and looking at what can be done to make things better. 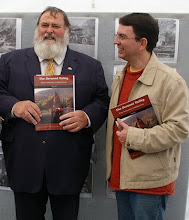 He saw a many opportunities in tourism and was concerned about what had been lost in recent years including the tourist railway and hop museum. In response to questions Mr Lester said the best way to encourage children to become more involved in physical activity was to start in schools; tourism was his top priority; he believed the council had a role to play in engaging with organisations providing services for children; he believed that council amalgamations will happen and the council must be involved in the process; and he was independent politically but sometimes Liberal-leaning. Tony Nicholson, of Lachlan, thanked the organisers for the opportunity to speak. He said he had been a lifetime resident. He had worked in a senior role in mental health for 37 years but was now retired. Be believed mental health services had been an important part of the make-up of the Derwent Valley and the remnants could be seen at Willow Court. Mr Nicholson said the council seemed to have lost its focus at Willow Court and must pull that back into line. He said the council had come under criticism for a lack of transparency, accountability and independence. He said he was independent of thinking of any political party. Mr Nicholson said local government was the first voice of local people. Councils were a service to the community, had a social conscience and were about more than just roads, rates and rubbish. In response to questions, Mr Nicholson said the advent of a Child and Family Centre was a great innovation and teenagers were catered for by D'FAT but 5-12 year-olds were a missing part of the core of our social responsibility; he said any council amalgamations must be planned very carefully; he did not believe 24-hour policing for New Norfolk would be achieved in the short term; and infrastructure was his first priority as it did not present a very good image at present. Judy Bromfield, of New Norfolk, said she had stood for hard work and honesty at the start of her local government career and she had not deviated from that. She said it was important for councillors to have an ability to work with people. It was quite often the case that the view of the one lone voice eventually became the right one. It was also important to be able to work with the state and federal governments. Cr Bromfield said she would save the majority of her comments for the later remarks by deputy mayoral candidates. 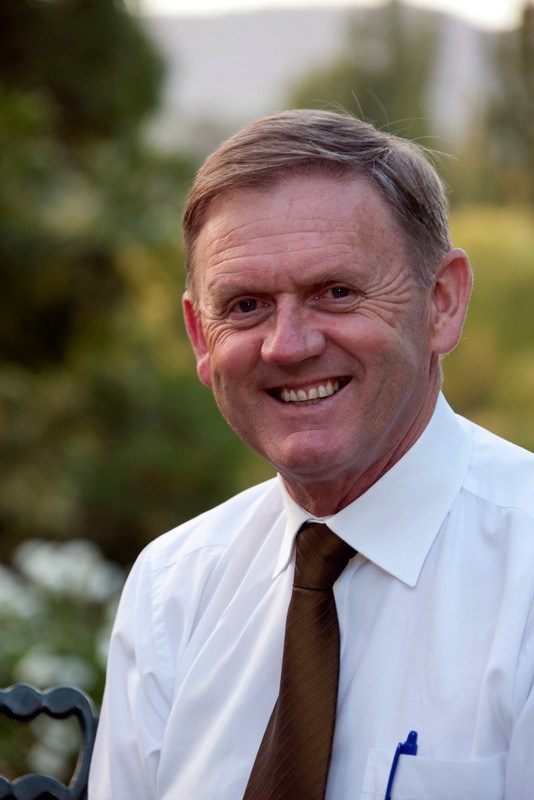 In response to questions Cr Bromfield said the council amalgamation situation was frustrating as three people from outside the state had been pulled in to tell us what we need; investigating solar and wind power was a priority; and a lack of funding was the biggest frustration after two decades as a councillor. Mark McDiarmid, of Magra, introduced himself as the husband of the late Helen McDiarmid who had been involved and well regarded in many aspects of the community. He has served as a police officer and teacher and believes in the importance of early learning. He described how he thought "intellectual potholes" should be fixed before the roads and remarked that he had moved to the Derwent Valley because of its people, not its roads. Mr McDiarmid said he would like to see an information centre and a centre for artists at Willow Court. He saw litter as a problem and would like to see a litter officer appointed, with an educational role as well as an enforcement role. He would like to see better use made of the esplanade. In response to questions Mr McDiarmid said he was not a member of any political party but he liked the idea of a green society; and he supported council amalgamations if New Norfolk was at the centre of it. Afternoon tea was served and then the candidates for the positions of mayor and deputy mayor were invited to speak. COUNCIL election candidate Philip Bingley has sent me the following statement for publication. Other candidates seeking election in our municipality are welcome to do the same. "I have lived in New Norfolk and worked in local government for over 30 years, and am passionate about New Norfolk and the Derwent Valley. I have a wealth of experience in public health, building surveying, planning, natural resource management, environmental management and waste management - to bring to council. "As a Tasmanian Greens candidate I want to bring green values to council - values that respect both our natural and built environments. Our Valley has a wonderful heritage, with buildings such as Willow Court and the Barracks. I will fight to preserve those heritage values while promoting the area as a great opportunity for future commercial, residential and tourism enterprises. A comprehensive "financial management plan" aimed at reducing council's growing loan obligations. "I will never support or vote for an annual budget or rate increase unless a thorough annual review has been undertaken of all discretionary council spending. My priority will be that council must adequately fund its core responsibility of maintaining our streets and roads - the ratepayers' major asset." COUNCIL election candidate Chris Lester has sent me the following statement for publication. Other candidates seeking election in our municipality are welcome to do the same. "I have a strong connection with the Derwent Valley, having grown up here and many of my family still live and work here. My wife and I returned to the Derwent valley with our two daughters 12 years ago and for the past eight years I have managed the Derwent Valley Sports Centre. A positive future for Willow Court. "Much has been said about the potential of Willow Court as a tourism drawcard but we have much more to offer than that, we are blessed with spectacular scenery and a rich history; much more needs to be done to promote tourism to attract investment and create jobs. To achieve this we need a decisive and forward-looking Council that puts its residents first. 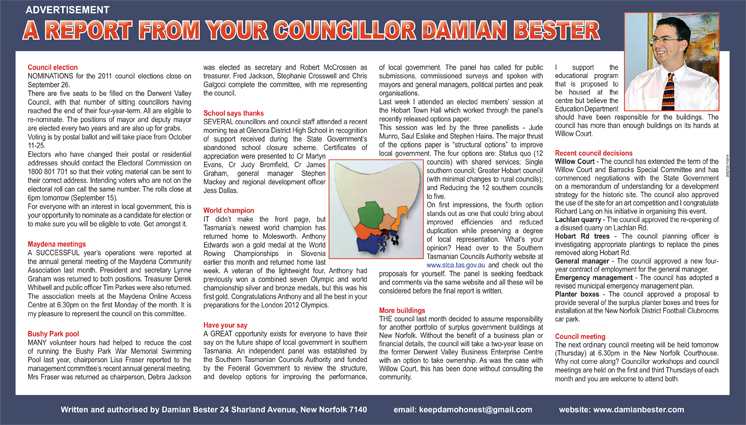 "Council must work together as a team, if elected I will work with council towards resolving these and other issues." Today council candidate Simon Rolfe announced his major policy platform for local schools. 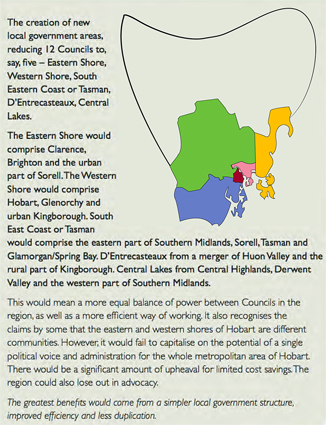 “ I would like to see the Derwent Valley Council take a lead role in establishing a working group of interested stakeholders including local government and non-government schools, UTAS and ACER (Australian Council for Educational Research) to conduct a pilot program using the NBN (National Broadband Network) to deliver curriculum into regional schools.” Mr Rolfe said. It is envisaged that lessons could be streamed live into a dedicated room at the high school, thus enabling the school to offer all Year 11 and 12 classes, not just those that have sufficient numbers enrolled. “We will be able to offer an education across a wide range of disciplines and of a depth that is missing in the current scheme.” Mr Rolfe said today. The plan will also involve Glenora District High School being able to offer classes from NNHS or other content providers thus enabling remote students to access the same classes as their cousins in the larger areas. There could be one teacher supervising a class of children who are each undertaking different study areas on-line. “Our children should not be disadvantaged due to their rural locations,” Mr Rolfe said. The primary schools in the municipality could also be involved with specialist language classes being a prime candidate for on-line learning. “The education of our children is the most important gift we give them for the future, if we can offer an expanded curriculum without the need for specialist teachers in each school, it will be a win-win situation for the Valley, our children and the State Budget coffers.” Mr Rolfe said. 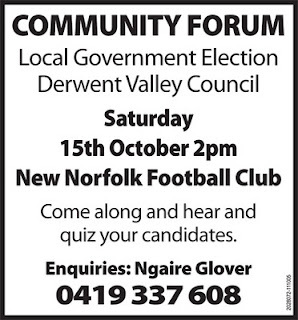 AN opportunity to meet the candidates in the Derwent Valley Council election will be provided on the afternoon of October 15. More information to follow.